The debate about Lexit is now irrelevant. The only form of Brexit that is possible is one that will entrench the status quo or produce something far worse. The left must unite against it. Theresa May has survived to fight another day as Prime Minister. But the humilating defeat of her proposed withdrawal agreement in parliament has blown the Brexit debate wide open. Yesterday, after surviving a no confidence vote, the Prime Minister called on MPs to "put self-interest aside" and "work constructively together" to find a way forward. In this context, the Labour Party’s next steps are critical. One idea that remains influential on the left is that Brexit can still be made to serve socialist ends. As the Guardian’s Larry Elliot puts it today: “The left’s case for Brexit has always been based on the following notions: the current economic model is failing; socialism is needed to fix it; and the free-market ideology hardwired into the EU...will make that process all but impossible without a break with the status quo". As I have detailed elsewhere, the left-wing case for leaving the European Union (or ‘Lexit’) deserves to be taken seriously, but I do not believe it stands up to scrutiny. However, in many respects this debate is now irrelevant. The question that really matters now is not whether the Lexit vision is desirable, but whether it is achievable. And the answer to this is clearly in the negative. Politics is about power, and the Lexit vision has no mass power base either at the grass roots level or in parliament. The proportion of MPs and the electorate that are both left-wing and pro-hard Brexit is very small. The version of Brexit that actually exists (not another version that theoretically could exist) is a radical right-wing project being driven by a combination of extremist free-market ideologues and anti-immigration xenophobes. In another world things might have been different. For example, had someone like Tony Benn still been alive to mobilise public support for a Lexit position, we may be in a different place. But this is not the reality of the social conditions we find ourselves in, and this is not going to change over the next few weeks. Without any significant power base behind it, the Lexit vision has been crushed by more powerful and better organised Brexit strategies, which is why no political party has come close to embracing it. What are these alternatives? There are now broadly two realistic Brexit outcomes, both of which are deeply problematic for the left. Firstly, we could end up with a ‘soft’ Brexit of the kind that is currently being proposed by Labour. This would involve joining a customs union with the EU and maintaining a “close relationship” with the single market. Another softer option is the so-called ‘Norway plus’ option, which would see the UK remaining in the European Economic Area (EEA) and joining a permanent customs union with the EU. The great irony of these options is that they would both leave the UK more subservient to EU rules than the status quo. Both involve accepting EU state aid and competition rules as part of ensuring a ‘level playing field’, while sacrificing any meaningful democratic say over them. The ‘Norway plus’ option would likely involve full regulatory alignment and significant contributions to EU budgets, as well as maintaining the freedom of movement of labour, capital, goods and services. 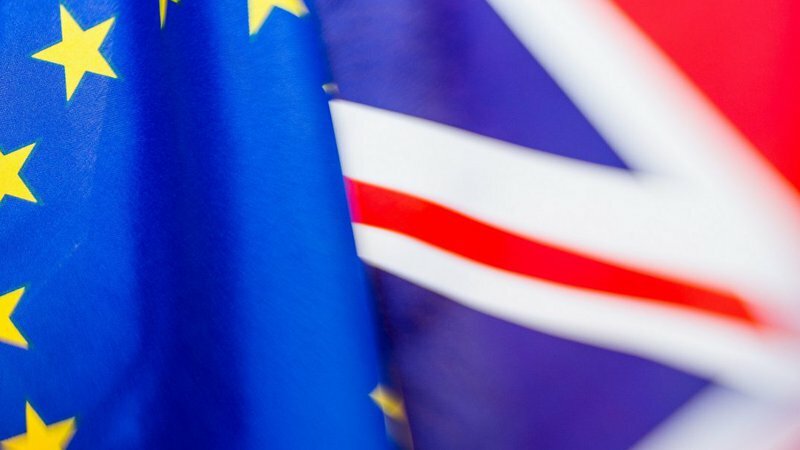 By severing the link between economic arrangements and the democratic process, a ‘soft’ Brexit represents the ultimate strategy for entrenching the status quo. The second possible Brexit outcome is a hard Brexit. This could occur if the UK and the EU fail to secure any deal by 29 March, or if a deal is agreed that keeps the post-Brexit relationship to a bare minimum. This is the only form of Brexit that is compatible with the Lexit strategy, but ironically it is also the scenario that poses the greatest threat to the left, which is precisely why Jeremy Corbyn is so keen to avoid it. Leaving aside the painful adjustment process that would devastate many parts of the country, we should be under no illusions about what a hard Brexit would represent. It would confirm the takeover of British politics by radical right-wing forces, for whom a hard Brexit is the prize of a long running power struggle. Under such a scenario it would be these forces, who have a considerable power base both in parliament and among the electorate, who would be empowered – not Lexiteers. It would represent a huge triumph for some of the most reactionary forces in the country, and a colossal defeat for the left. Does this mean that the best we can hope for is the status quo within the EU? Absolutely not. The Lexit argument that the UK must leave the EU to gain control of economic levers such as state aid, competition policy and capital controls is overblown. By virtue of not being in the Eurozone, the UK enjoys considerable room for manoeuvre that other member states do not, and the UK could use these levers provided there was the political will to do so. The problem is that so far this political will has been lacking. As an influential member of the EU, the price of pushing the boundaries of EU state aid and competition rules might be a diplomatic row. But compared to the costs, risks and unanswered questions involved with the Lexit strategy (solution to the Irish border question, anyone?) this is a walk in the park. Such confrontations will be an important part of challenging neoliberal hegemony regardless of whether we are inside or outside the EU. But our bargaining power will be far greater if we are inside. The world has moved on from when Britannia ruled the waves. Today the global economic agenda is being shaped by the major economic superpowers – the USA, the EU and China. After Brexit, the UK will be forced to abide by decisions taken by these major power blocs. For all its flaws, one thing the EU can do that the UK cannot is hold multinational corporations to account and enforce labour and environmental standards across supply chains – essential tools in the armoury of any socialist project. While we should not be dewy-eyed about the prospect of radical reform, it is important to remember that the EU’s neoliberal trajectory can partly be attributed to the UK’s influence within it. As the neoliberal consensus crumbles across Europe, the EU's future trajectory is all to play for. Lexit was and remains a coherent intellectual position to hold. But adherents must now confront reality: the only form of Brexit that is possible is one that will entrench the status quo or empower something far worse. The left must unite against it.